Autumn is a great time for landscape photographers; not least for the explosion of colour that takes place up and down the country, but also because sunrise and sunset times become much more ‘civilised’ now the long days of summer are behind us. But it’s not just landscape photographers who are out in force, autumn is also a popular season for macro and nature photographers, and this autumn I’ve been out as much as possible shooting both landscapes and macro photography. As well as the incredible colour this season brings, dramatic weather is another feature of autumn that’s sometimes overlooked. Moody stormy skies, mist, cloud inversions and the low angle of the sun during the day all contribute the visual feast that’s on offer. 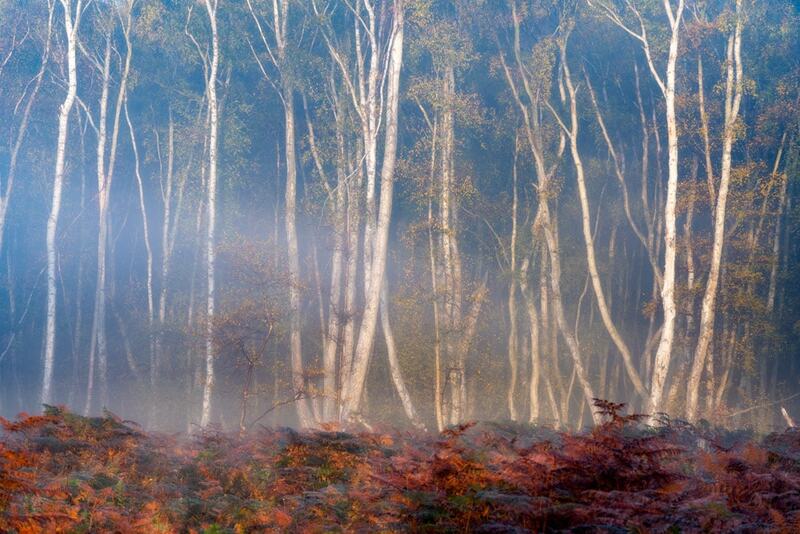 Here are a handful of my favourite images shot this autumn. 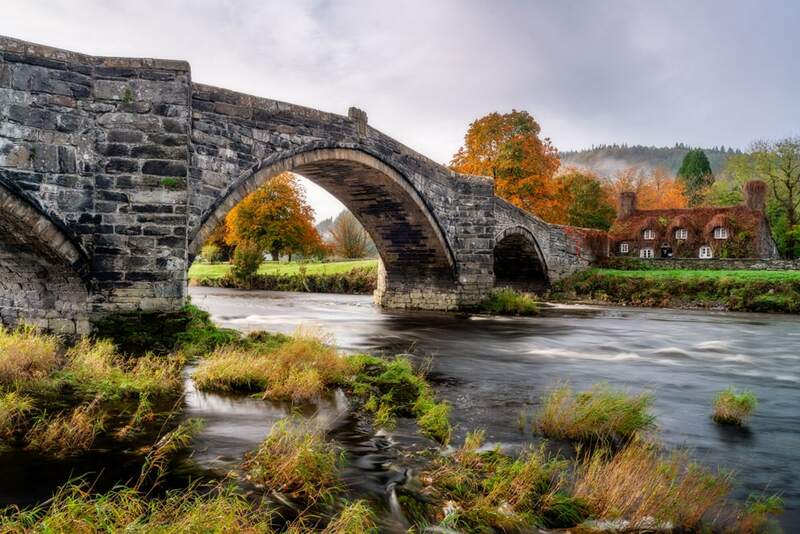 The opening image is of Llanrwst Bridge and of Tu-Hwnt-I’r Bont Tea Room and was shot during the same trip as the image above. 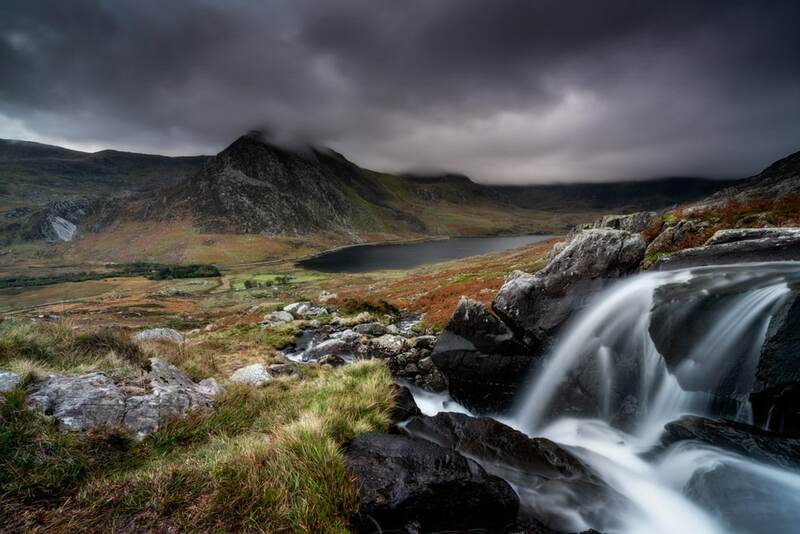 Afon Lloer is an incredible location that I’ve shot in a number of seasons and an ultra moody autumn evening can look equally spectacular as a summer sunrise when the sun catches Tryfan in the background. This is a subtle autumn image with the main giveaway being the bracken in the middle ground that has turned an orange/brown colour. 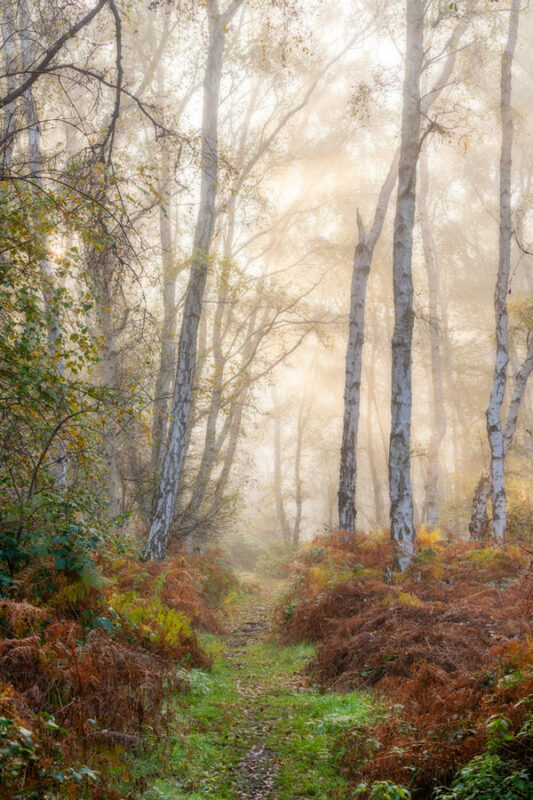 Misty mornings in the woods is a great way to capture the colours and conditions of autumn, and I’m lucky enough to have the largest silver birch forest in the UK just a 20-minute drive away from where I live. Here the bracken hasn’t turned as much as in the Afon Lloer image, even though it was shot over two weeks later, and is a mixture of stunning red, orange and yellow tones. Here’s another shot from the same location as the previous image. After spending a long time walking around looking for suitable subjects time was running out before the sun rose too high in the sky for good light and dispersed the mist. This was an image that looked good on the back of the camera but I wasn’t able to fully appreciate it until I downloaded the images to my computer. It turned out to be my favourite image from the shoot. 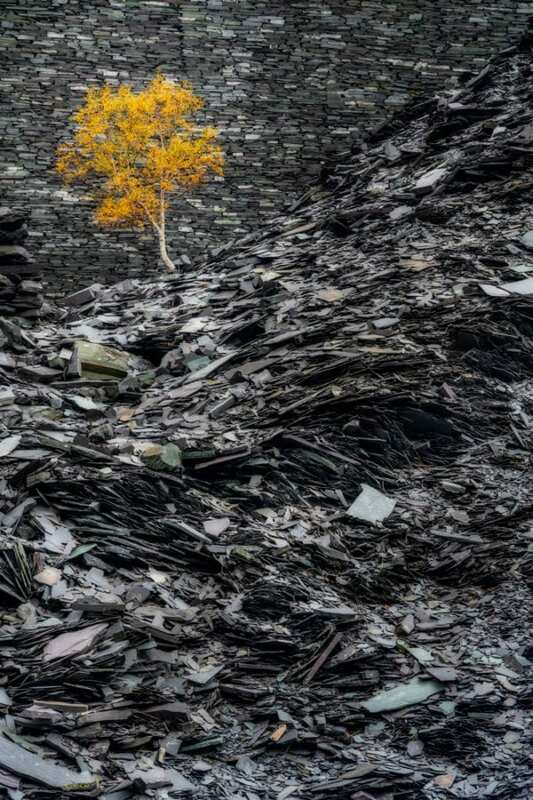 Lone tree at Dinorwic Slate Quarry in Snowdonia. I’ve wanted to shoot lone trees at this location during autumn and despite being a tad early for peak autumn colour I found this small silver birch was was absolutely perfect. And best of all, I’ve never seen an image of this particular tree before so the resulting image is quite different to the majority of lone autumnal tree shots taken at the location. As I was approaching Ceunant Mawr Waterfall in Llanberis this image literally just presented itself and I had to take it. 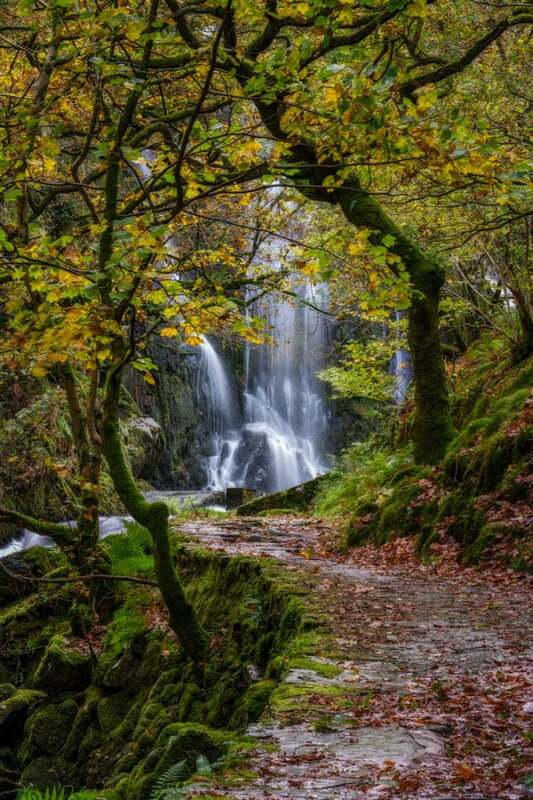 The way the trees frame the waterfall and the path leading the eye towards it works perfectly. Before arriving I was planning to get closer to the waterfall and focus more on the water but this, I think, was a much better approach. After buying the Sony 90mm f/2.8 Macro G OSS lens to expand my photography this was the first ‘proper’ image I took with the lens. 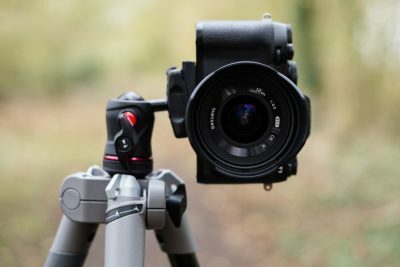 This was taken during a walk around a local country park and my intention was to use the most basic kit possible – just a camera, lens and Manfrotto PIXI mini tripod to get low to the ground. 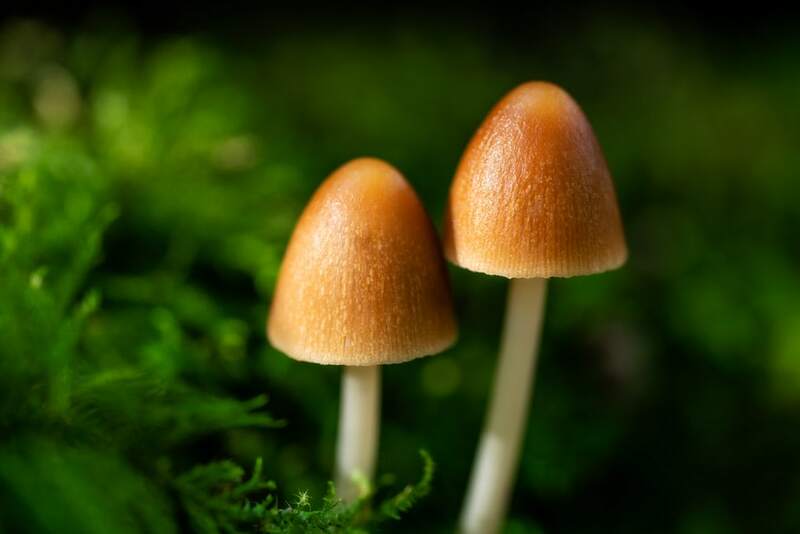 The low sun lit the mushrooms perfectly and helped to make them stand out from the background. A few days later I headed back to the same location and found a variety of fungi to shoot. During this visit, the light wasn’t quite as good as a few days before, but the soft diffused light did have its advantages. 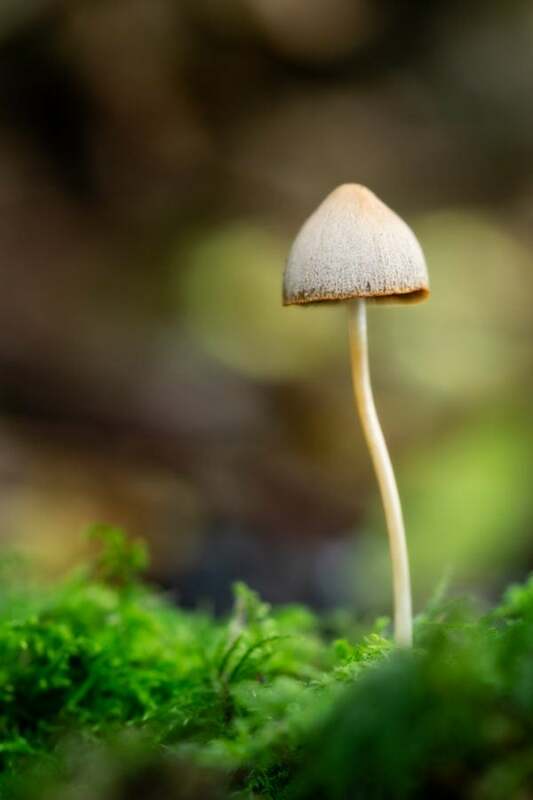 This image was taken handheld with the camera resting on the forest floor for stability.